Wearing a spondylolisthesis back brace is almost a comical idea to enlightened doctors who know that most of these products are simply scams that demonstrate no efficacy at all. There are some care providers (mostly chiropractors) involved in selling the orthotics who obviously view them quite differently, since these devices are known money makers. 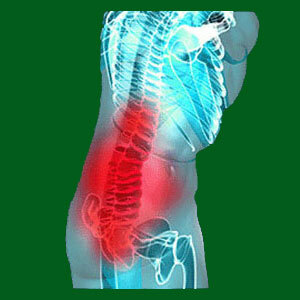 Have you tried to use a back brace to reduce the symptoms of your spondylolisthesis? What were your results? More importantly, was the product truly effective or did it just provide a “security blanket” by way of the placebo effect? Orthotic back braces remain the single most controversial of all dorsalgia products. Although marketed for patients with different diagnoses, the braces used are actually virtually identical, regardless of which condition they are trying to relieve. This is the first clue that something is amiss in this largely unregulated industry. However, we do not want to write off the entire sector of products without a fair review. This essay explores the efficacy and limitations of spondylolisthesis back braces. We will examine the various reasons why they might be worn and provide non-financially motivated commentary on their upsides and downsides. The majority of braces for spondylolisthesis are sold on websites, in magazines and in late-night infomercials. These devices are rarely specifically designed for listhesis, but instead often make sweeping claims about how they can effectively treat all manner of back pain problems, including herniated discs, scoliosis, spondylolisthesis, arthritis and facet joint syndrome, among others. Most purchasers are naive, uninsured or underinsured, and desperate to try anything to find relief, despite their better judgment yelling loudly that the product is most likely a scam. In virtually 100% of cases, the braces turn out to be just that… garbage that provides no efficacy at all, except possibly by the power of mindbody suggestion via placebo effect. Brace manufacturers often make claims that they can be used for any type of listhesis or pre-listhesis condition, including spondylolysis and full spondylolisthesis. These companies also claim that they can be used to “help heal” fractures in the pars interarticularis, by restricting movement and supporting the region. How they accomplish this is quite illogical and anatomically improbable, but then again, the companies who make these devices hope that the end user will never ask informed questions like these. Braces might claim to generally improve posture and allow the body to therefore reduce the effects of listhesis. They might claim to facilitate adjustment of the sacrum or lower spine to provide natural repositioning of migrated vertebrae. They might even claim to cure spondylolisthesis outright. None of these objectives seem possible to us or to any student of the human anatomy. Braces might not be overly expensive and might provide at least some temporary benefit via placebo effect. At least they are not damaging in most cases and if they reduce pain at all, (even if this pain is not caused by the listhesis and/or even if the pain reduction comes via placebo instead of actual efficacy) then so be it. There is basically no real or objective evidence that any brace will have any positive effect for spondylolisthesis or spondylolysis. All the evidence that we have located was manufactured by the same people who make these braces or sell them. None of the studies we have read are peer-reviewed or even remotely credible. Pars interarticularis fracture and vertebral slippage are conditions that exist inside the spine, typically in the lumbar region, which is an anatomical region that moves constantly and continuously. 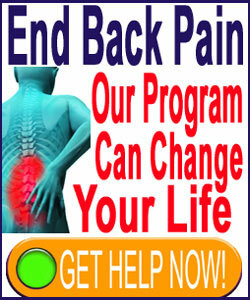 No back brace will prevent spinal movement at all. Even the most dramatic braces for scoliosis do not limit spinal movement. How can a glorified rubber band do anything to “reduce harmful motion”, “support the spine” or accomplish anything at all? It can’t and it won’t. Some braces might actually undermine the strength and effectiveness of the back muscles, causing them to weaken and atrophy. This is never a good thing and can only lead to escalated pain and different types of pain. Braces are often ridiculously expensive. Some cost $2 to make and package, but are sold for over $200. Of course they need such huge margins on profit to defend against consumer actions and lawsuits… Companies that make these scam devices are obviously not in business to help people, except by financially enriching themselves. If you make or sell a back brace that you feel defies the profile in this essay, feel free to send it to us for objective evaluation. We will be fair, but firm to be sure. Oh, and forget about the possibility for any paid “reviews”. You can not buy our recommendation ever.